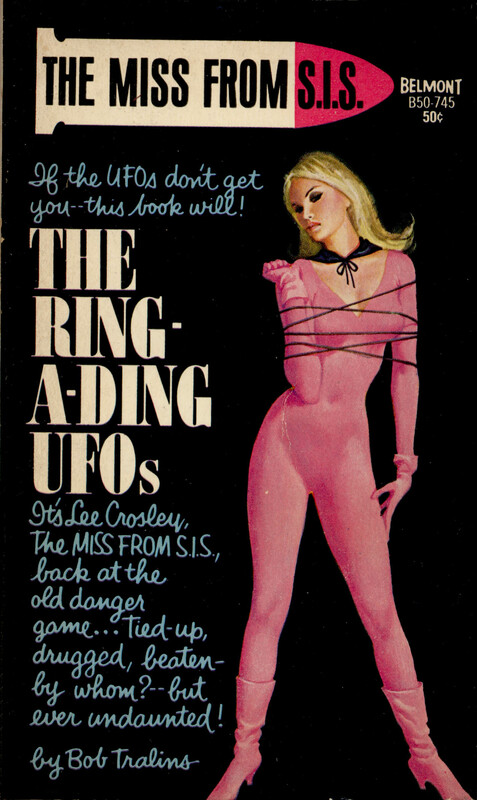 If the UFO’s don’t get you — This book will! It’s Lee Crosley, The Miss from S.I.S., back at the old danger game… Ties-up, drugged, beaten – by whom? — but ever undaunted!